This Body Exfoliation Bar cleanses, smoothens and nurtures the skin. It is excellent when coming out of the sauna or steam room. 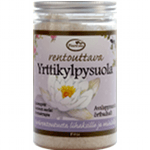 In Finnish healing spas it has been used for treating arthritis pain, gout and muscle and joint pain. It's cleansing and purifying effect calms down skin inflammation and is also recommended for local treatment of pimples and impurities of the skin. 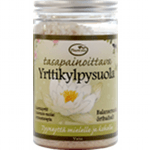 It is also used for the breaking up cellulite and for detoxification or purification of the body. Clay has also been an important active substance in various beauty treatments: facial and body masks and body peeling. 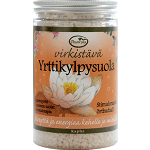 100% natural mineral clay formed by sedimentation during thousands of years, extracted from a location close to Frantsila, in the bottom of a forest creek in Kyrönlahti. The residual clay is formed from granite, feldspar, mica and other clay minerals. It contains lots of important minerals and micronutrients. 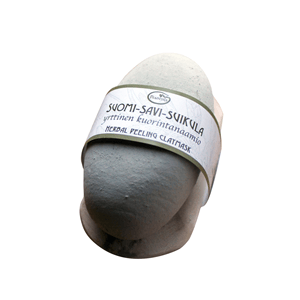 This treatment clay has undergone geological studies and contains no harmful heavy metals. 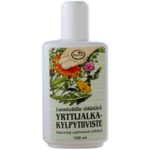 Finnish organic herbs have been added to revive, calm, nourish and rejuvenate the skin: Self-heal, Red Clover and Plantain. The herbal clay bar gently peels the skin, removing dead cells, rendering the skin soft and clear. Moisturize the clay bar and rub it on moist skin when taking a sauna, bath or a shower. Leave on preferably for 10 to 15 minutes while keeping the skin moist. Rinse off and dry. Clay Bar is not recommended for facial exfoliation; use the more gentle Midsummer Rose Herbal Peeling cream instead. After use it is recommended that the skin is moisturized with body oil or cream, as the clay may somewhat dehydrate the skin. Let the clay bar dry out after use. You can get several scrubs for the whole body from one bar. 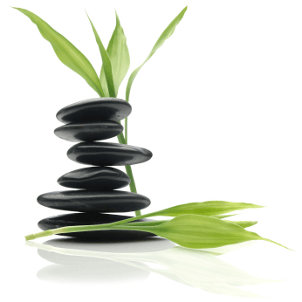 Raw materials meet European natural cosmetics standards. 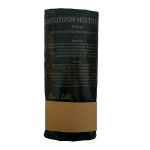 Not tested on animals. No genetically modified substances, mineral oil, silicates, artificial colors or scents, and no preservatives.